L-oma Buckwheat Pillows™ offers the benefits of aromatherapy in every organic buckwheat pillow we sell. Aromatherapy provides psychological and physical well being and has been used for centuries by herbalists and doctors alike to treat a multitude of ailments. An aromatherapy pillow can be very relaxing and the aromatherapy sachet bags can be used for a variety of purposes. L-oma™ offers two fragrances at this time, lavender and balsam. Lavender has long been known as a natural remedy for insomnia, and mood disorders such as depression and anxiety. It has been found in many candles, cleaning products, massage oils and a variety of other household items. Aromatherapy has become very popular as we hear more news regarding the physical dangers and effects of stress. 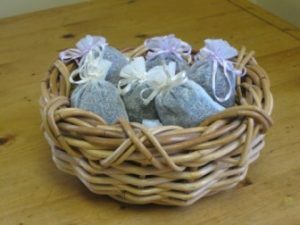 Many studies have been conducted which support that lavender produces calming and soothing effects which promote sleep. Recently some scientific evidence suggests that lavender aromatherapy may slow the activity of the nervous system. As a company we are dedicated to providing the best and most effective products in a natural and wholesome way and believe that lavender being added to our organic buckwheat pillows is a great addition. More recently, we have made available to our customers the option of a balsam-infused pillow. After doing much research ourselves we discovered that Balsam has many qualities that our customers could find helpful and restful. Balsam has been described by those using it for aromatherapy as being refreshing, harmonizing and warming. Currently Balsam is used in massage oils as a natural way to relieve muscular, arthritic and back pain. It is also reported that Balsam has been used for relieving and bringing comfort to those suffering with respiratory problems. Balsam oil is extracted from the spills and used in vapors to inhale for comfort from bronchitis, coughs, sore throats and stuffiness associated with colds and the flu. It has been found that Balsam harvested from trees growing in colder climates is better for aromatherapy because balsam trees produce more oil in cold weather to protect the spills from freezing. This extra oil is what makes the spills we use more fragrant and longer lasting. All aromatherapy products are grown in New England by local growers and are of the highest quality. They may be ordered for direct mix-in with our buckwheat hulls for aromatherapy infusion, or “on the side” in separate packaging. Customers then have the option of mixing the product themselves for a preferred aromatherapy balance.